Most looking machine heads on the market are the result of chemical treatments and polishing processes. Unfortunately, those treatments also affect the durability and functionality of the parts. Gotoh Key internal components are not affected by this process and retain their usability and durability. This is the advantage of being developed at the manufacturing stage. 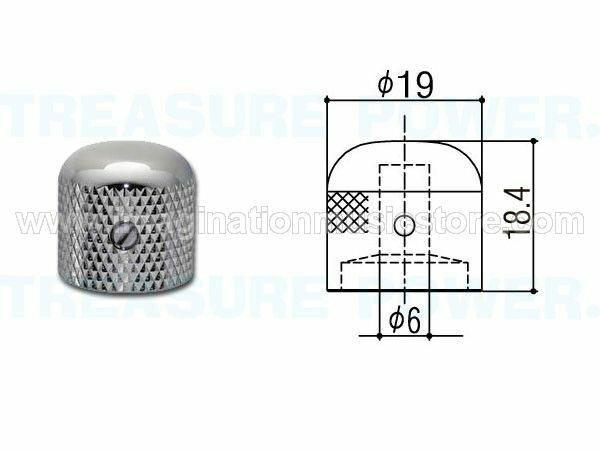 This knob will fit both US spec and import Metric solid shaft pots, commonly found on Telecasters.